YouTube's Michelle Slavich has a new job. Plus: The GOP's response to Comey's book. New from PRWeek this morning: Why McDonald’s revamped its agency roster, splitting work previously held by Golin into duties for three agencies, as well as its in-house comms strategy. Plus: Havas PR North America CEO Marian Salzman’s unexpected move to Philip Morris. Michelle Slavich also has a new job. She’s joined Warner Bros. Pictures as VP of global publicity and strategy (Variety). Slavich previously managed entertainment PR and corporate communications at YouTube (Hollywood Reporter). 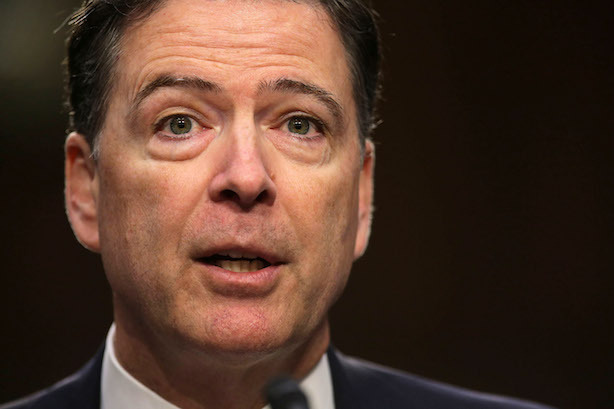 James Comey’s book about his tenure as FBI director and sudden firing pulls no punches about President Donald Trump, painting him as unethical and an unrelenting liar (CNN). Employing the "I know you are but what am I?" strategy, Republicans began rallying surrogates against the upcoming book this week with talking points painting Comey as unethical and untruthful (Bloomberg). The GOP also plans to label the former FBI director as "Lyin’ Jim" on a new website (The Hill). Red Lobster is the latest brand to pull advertising from Laura Ingraham’s program on Fox News. It’s the 26th marketer to do so (The Wrap). The network is continuing to support The Ingraham Angle (HuffPost). Volkswagen is plotting a new course, naming Herbert Deiss as its CEO on Thursday. Deiss is a relative newcomer to the German automaker--both a strength and a weakness--untainted by the diesel emissions scandal that consumed much of predecessor Matthias Muller’s tenure (New York Times).